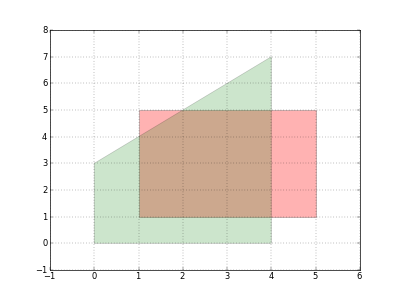 islpy is a Python wrapper around Sven Verdoolaege’s isl, a library for manipulating sets and relations of integer points bounded by linear constraints. It also includes an ILP solver based on generalized basis reduction, transitive closures on maps (which may encode infinite graphs), dependence analysis and bounds on piecewise step-polynomials. 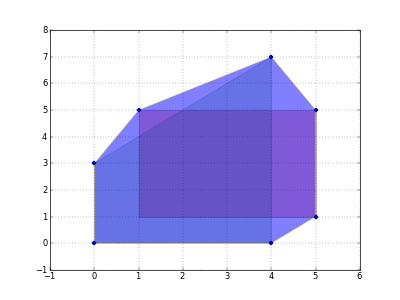 Note that far better plotting of isl(py) sets is available by installing Tobias Grosser’s islplot package. This manual will not try to teach you much about the isl itself, it simply lists, in a reference fashion, all the entrypoints available in islpy. To get information on how to use the isl, see the real isl manual. The manual for the barvinok package is also quite helpful to get an idea.